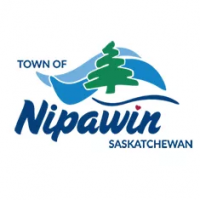 Welcome to the Townfolio for Nipawin, SK where you will find a full community profile. What is the Population of Nipawin, SK? At present, Nipawin, SK has a population of 4,401 person. Overall, the average population is growing at an average of 0.21% per year over the past 15 years. In the last two census, its population grew by 136 people, an average growth rate of 0.64% from 2011 to 2016. What is the Median Age of Nipawin, SK? Nipawin, SK has a median age of 42 years old. 56.59 per cent are part of its working-age population, or those between the ages 15 to 64 years old, while 19.66 per cent make up the younger population that will also be part of the labour force in two decades or less. At the present, 1,310 people are expected to retire in the coming years. Overall, women outnumber men by 290 people. The 10 to 14 years old age cohort exhibits the largest discrepancy with a difference of 20 people between the sexes. Furthermore, majority of the population is between the ages 0 to 4 years old, comprising 6.8 per cent of the population. Majority of the population are married, making up 50.28 per cent of the population. Having a predominantly married population is highy beneficial to Nipawin, SK as married couples usually bring in larger incomes, higher net worth and gains on average. They also help boost the community's liveliness and labour force, as they are most likely to bear children and create the best economic conditions for them. Furthermore, this group also spends more compared to most of their counterparts. The largest aboriginal population are that of the First Nations, making up 67.72 per cent of the total aboriginal population. At 195 people, the second largest Aboriginal population is the Metis. Inuit follows with 1.57% of the total Aboriginal population in Nipawin, SK. With a population at 4,401 people, most inhabitants at Nipawin, SK are above the low income cut-off, or the income a person must earn to be considered to be part of the low income group. However, majority are below the 2016 median income of $54,601 per year. Majority of the population speaks English only, making up 97.32 per cent of the population. In Nipawin, SK, the median household income is $54,601 per year. The median household income in Nipawin, SK is lower than the national household median income in 2015. The largest influx of immigrants to Canada was 2011 to 2016, where 150 people surveyed called Canada their new home. The largest visible minority population are that of the Filipino, making up 71.21 per cent of the total visible minority population. The second largest group are the Black, making up 45 people.Following Black is Arab that is 3.03 per cent of the visible minority population. Overall, the average employment rate of Nipawin, SK is growing at an average of 0.07% per year over the past 15 years.In the last census, its employment rate declined by 1 per cent, an average rate of decline of 0.69% from 2011 to 2016. Further declines in employment rates reflects positive economic conditions in the community, as more people are finding jobs and businesses are most likely thriving. Overall, the average unemployment rate of Nipawin, SK is growing at an average of 0.24% per year over the past 15 years.In the last census, its population declined by 2 people, an average rate of decline of 0.94% from 2011 to 2016. Overall, the average unemployment rate of Nipawin, SK is growing at an average of 3.04% per year over the past 15years.In the last census, its unemployment rate declined by 0 per cent, an average rate of decline of 1.8% from 2011 to 2016. Further declines in unemployment rates reflects positive economic conditions in the community, as more people are finding jobs and businesses are most likely thriving. Umbrellas and raincoats are most handy in the month of July when it rains an average of 82 mm. This is 25.31% of the annual rain experienced in Nipawin, SK. The month of June is also rainy with an average rainfall of 74.3 mm. Following June is August, when 57.2 mm is the average rainfall. Wrap up in layers in the month of December when snow builds up tp an average of 24.7 centimetres. This is 18.38% of the annual snowfall experienced in Nipawin, SK. The month of Janurary is also snowy with an average snowfall of 22.3 cm. Following Janurary is November, when 19.3 cm is the average snowfall. Sunscreens are most handy in the month of July when the sun shines an average of 307 hours. This is 13.59% of the annual sunshine experienced in Nipawin, SK. The month of August is also sunny with an average sunshine of 286 hours. Following August is June, when 273.9 hours is the average number of sun hours. It is coldest in Nipawin, SK in January when temperature drops to -24.2 °C and warmest in the month of July when it hits 23.9 °C. It will be a good idea to always check temperatures and the weather around May when temperatures are more fickle that it changed by 14.3 °C in the same month in 2016. Temperatures are most stable in Nipawin, SK in the month of November. 42.56 per cent, which is majority of homes in Nipawin, SK, were constructed between 1961 to 1980. Building and home construction was also brisk before 1960, where 625 homes were built. In between 1981 to 1990, 250 of homes were built too. 31.59%, which is majority of homes in Nipawin, SK, have 4 or more bedrooms. Homes with three bedrooms are also very popular, with 555 homes built with this number of bedrooms. The third largest category of homes according to number of bedrooms are two bedrooms representing 26.37 per cent of dwellings. Majority of commuters in Nipawin, SK leave their homes from 7:00am to 7:59am, saying that it's enough time to get to work. The second most popular time to head to work, with 27.57% of respondents, is from 8:00am to 8:59am. However, 265 of commuters still prefer to leave from 6:00am to 6:59am. Majority of commuters, around 1,425 respondents in Nipawin, SK, are carpooling in a private car, truck, or van to go to work. Moreover, 6.74% of respondents say that they prefer walking. The third most popular means of transportation is driving alone in a private car, truck, or van with 100 commuters preferring it. Most people in Nipawin, SK have have completed a high school education. With 925 people, it is what most people in Nipawin, SK completed. Coming in second, 31.23% of inhabitants say they have not completed any certificate. The third largest group are people who have completed a university degree, with 410 people responding. Most are in Engineering & related fields with 365 people practicing it in Nipawin, SK. Business, Management & Public Administration is another popular field of expertise, as 22.26% of inhabitants are involved in it. The third group are those who are in Health & related fields, with 260 people responding that it is their line of work. STEM (Science, Technology, Engineering, and Math) is expected to be a growing industry, however, Department of Finance confirms that Canada is lagging behind other Organisation for Economic Co-operation and Development (OECD) countries in terms of STEM graduates. Nipawin, SK has 390 people or 25.16% of workers in STEM industries. Majority of the population, which is around 89.03% of residents received their schooling from Canada. Another country where most residents received their schooling is the Philippines, making up 110 people. At 2.58 per cent, those who received their education from another country not listed here is the third largest group. The industry that dominates Nipawin, SK is 1 to 4 employees comprising of 149 businesses or 55.6% of the community's business establishments. Coming second is the 5 to 9 employees industry that makes up 21.64% of the business community.The third largest is the 10 to 19 employees industry, which includes 33 businesses. Meanwhile, 5.6 per cent of businesses are considered to be small business, providing jobs to 1 to 99 employees. Then 2.24 per cent make up the medium-sized businesses that employs 100 to 499 people.